This recipe probably takes the longest to prep and cook, and to be honest – wasn’t going to appear in this list for those reasons. However, seeing as someone described this soup last week as being “So Tasty!” (You know who you are!! 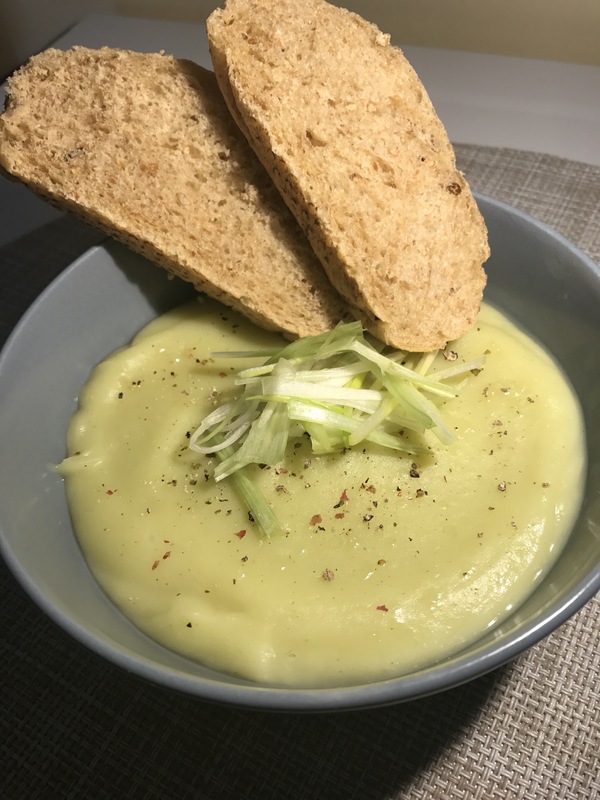 ), I thought I should share it with the world anyways….. After all, it is still pretty easy to make with minimal ingredients and is so filling and rich – it is one of the few soups I like to eat without bread as it keeps me full for ages. This is a great one for weight loss as it is boosts metabolism and is low calorie, but packed full of nutrition and soluble fiber. This keeps you feeling fuller for longer and as an added bonus, it suppresses the “hunger” hormone Grehlin which will reduce any temptation for snacking later on. Put saucepan on medium heat with about a quarter of a cup of the boiling water. Roughly chop the leek and add to the saucepan. Turn the heat up a little, and continue to stir the parsnip around the pot to caramelise it until it starts to sweat (About a minute). If anything starts to stick, add in more water to de-glaze the pan and continuously stir. Add in the remainder of the water and cook on medium to high heat until soft, stirring occasionally to ensure it doesn’t stick. You may need to add more water if it evaporates too much. Blend the mixture for about 1 minute until smooth.